Following up on my recent posts on solar panels, bamboo floors, and tankless water heaters, I feel the need to vent further about the tendency for people to add stuff to their homes, thinking that it makes them "green" when in fact this stuff is little more than what my friend, pioneering green architect Peter Pfeiffer, refers to as "Eco-Bling". Eco-Bling is not that different from regular bling, roughly defined as "ostentatious or elaborate jewelry… such as cell phone covers or tooth caps". Designed to bring attention to an otherwise mundane object or person, eco-bling such as (I am waiting for the attacks) bamboo floors, solar panels, and the like. 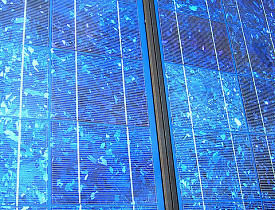 I know that solar panels are not total bling, they do, in fact produce electrical power, but, where they are installed at the expense of other, simpler efficiency measures, they do qualify as bling, and they do so because, in most cases, they are expensive and openly displayed. It could even be said that they are ostentatious and elaborate (see bling definition above). An example of eco-bling is the massive solar panel array atop Tom Brady's Los Angeles roof. Other examples of eco-bling include building products that are labeled as natural, recyclable, recycled content, and sometimes even organic. While these are not all necessarily bad products, for many people they serve as displays of their "greenness" rather than serving a true purpose in making a home more sustainable. Another bling-ish product is geothermal (also known as "ground source") HVAC systems. There are big government and utility incentives available for installing these very efficient, and very expensive, systems that transfer heat from the ground or water into and out of a house. Geothermal HVAC can be more efficient than standard gas or electric systems, but there are two issues that make me question their value. 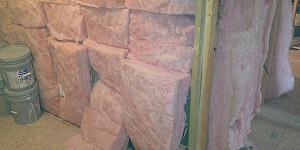 First, regardless of how efficient the equipment is at creating heating or cooling, if it is not connected to a well designed and installed duct or pipe system, it won’t run as efficiently as advertised. 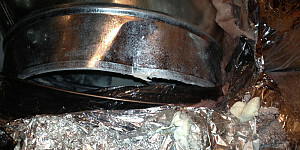 And trust me, most home ducts are pretty leaky and poorly installed. Second is the efficiency and size of the house itself. Putting a very efficient HVAC system in a big, leaky, inefficient house is a waste of effort. In almost all cases you could spend less money making the house more efficient, allowing you to save more money than you would ever get from a geothermal HVAC system. Green building consultant Carl Seville writes for Networx. Get home & garden ideas like this on Networx. Is borax really as green as it seems?